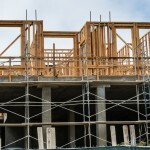 Recent statistics from the Federal Office of Statistics (OFS) show a marked rise in housing vacancies. From 2010 until 2014, vacancy rates across Switzerland were below 1%. By 1 June 2014 the rate had crept up to 1.08 and by 1 June 2015 it was 1.19%, with 15 cantons registering rates over 1%. On 1 June 2015, 51,172 of Switzerland’s 4.3 million dwellings were vacant. This is 5,424 or 12% more than at the same time last year. As recently as 2010 there were only 36,713 places vacant, 28% fewer. Large cantonal differences persist. At 2.35% of the housing stock, the canton of Jura has the highest number of empty homes, followed by Solothurn with 2.33%. 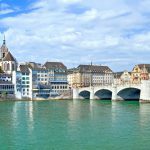 Increases in vacancy rates were less dramatic in the Mittelland, Central Switzerland, Lake Geneva and Zurich regions. 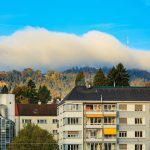 At the other end of the spectrum, the canton of Basel-Stadt has the lowest housing availability at 0.34%, followed by Basel-Landschaft with 0.39%. The OFS map below highlights the regional hot spots and gives a complete view across all of Switzerland’s regions. For an interactive version of the map click here. The highest vacancy rates of 4.84% were found in the mountain region of Entremont, which contains the ski resort Verbier. Hot on the tail of Entremont were the districts of Conthey, Valais (above Sion) and Le Locle, Neuchatel, both with 3.97% of their housing empty. Vacancy rates rose for individual homes rose by 14%, 2% higher than the average. Of the 51,172 vacant homes, 40,202 were for rent and 10,970 were for sale.